Asmaa Azaizeh and Ala Azzam perform the poem "A Hoarseness in the River's Flow" by Ashraf Fayadh, translated by Mona Kareem below. 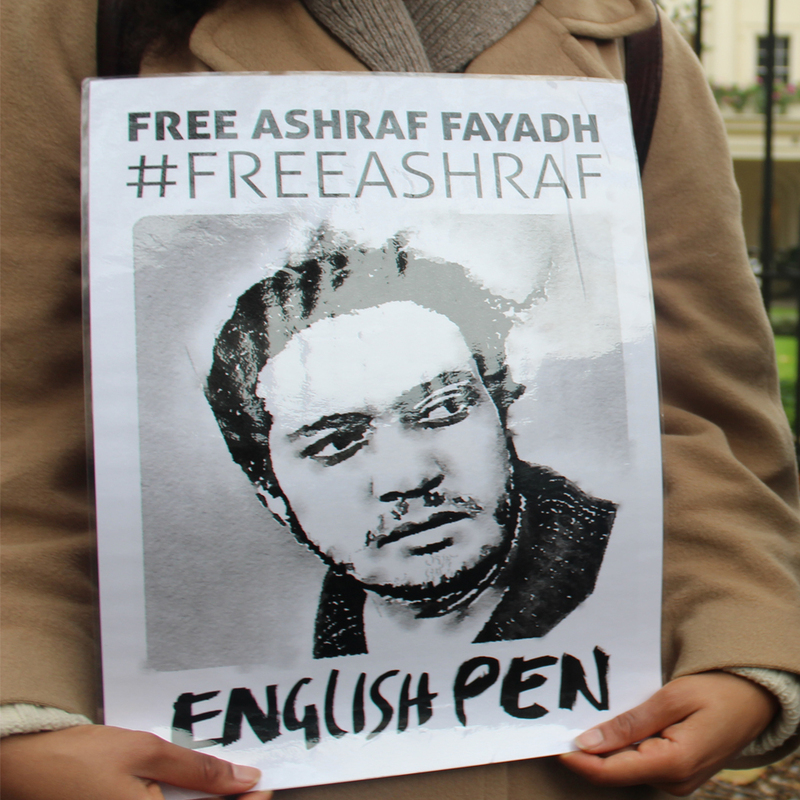 It's been nearly three years since Palestinian poet Ashraf Fayadh -- who was born and raised in Saudi Arabia -- was detained by the religious police in August 2013. He was accused of cursing God, insulting Saudi Arabia, and distributing a book of his poetry: Instructions Within. Fayadh has said the complaint arose from a personal dispute during a discussion in a cafe, one that playwright Hassan Abdulrazzak has satirized in "The Several Beheadings of Ashraf Fayadh." In Abdulrazzak's play, an unnamed man sneers, "We gave you refuge. We gave you a home. And how do you repay this kindness? You hand out filthy literature to our youth." But this escalated into serious charges against Fayadh, for alleged apostasy in his painful, relentless, densely nested poems. It matters that the poems are powerful. That there is a critique embedded here that authorities almost but cannot quite grasp. The poet was sentenced to death last November, prompting worldwide protests and solidarity readings. His death sentence was repealed in February and he was resentenced to eight years and 800 lashes. But he remains in prison. Locked in, away from the light. Today, along with others around the world, we again remember so as not to let him be forgotten in prison. We translate him, we write with him, alongside him, and to him, create art to continue on the paths that he's illuminated. the crows had stopped laying their eggs on my ceiling. So keep your white smile…for a black day! the river’s cracking voice eats away my patience! and the heart has forgetfulness! - what about fashion news? - what do you think of the Baghdad collective? for the darkness is intense. How are you gonna drink your tea? colonized by the wretchedness of death. Can we use the river to water flowers? like blood in the oil market that no one wants to buy! on the banal voting chairs in the Basra night. * This poem was originally published in Ashraf’s poetry collection back in 2008. The English version will appear in Kareem’s forthcoming translation Instructions Within by The Operating System Press.